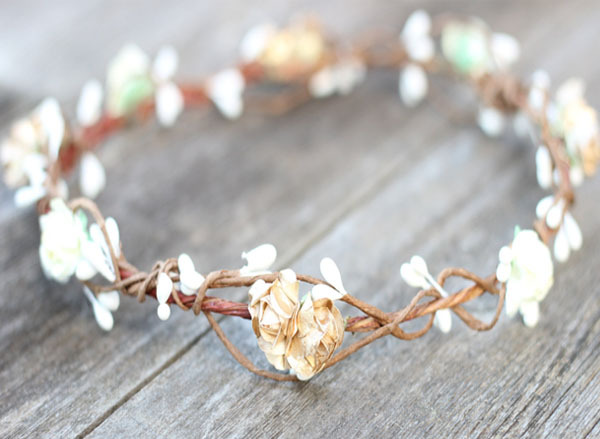 The Perfect Boho Rustic Gold Wedding Hair Crown Headpiece Overflowing with Lovely Hand Painted Gold Berry along a rustic base with adjustable Ivory Ribbon Back for the perfect fit. 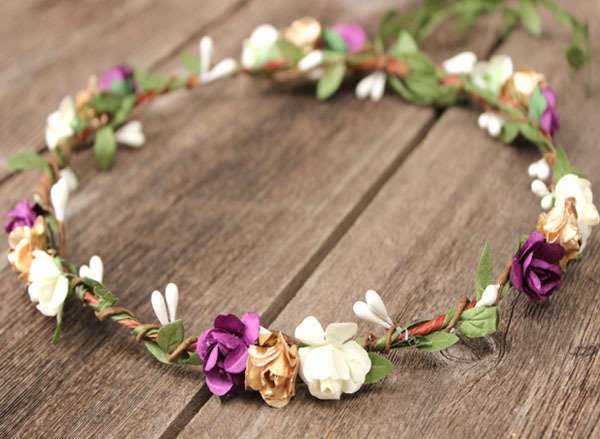 Truly a unique and simply stunning headpiece perfect for that special occasion. 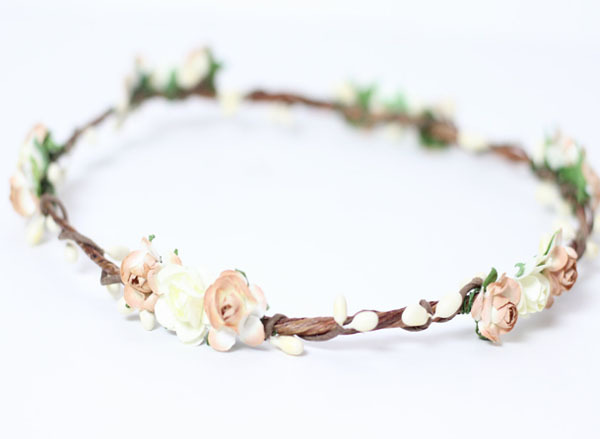 Elegant and unique woodland headpiece with the perfect amount of Boho for any bride. 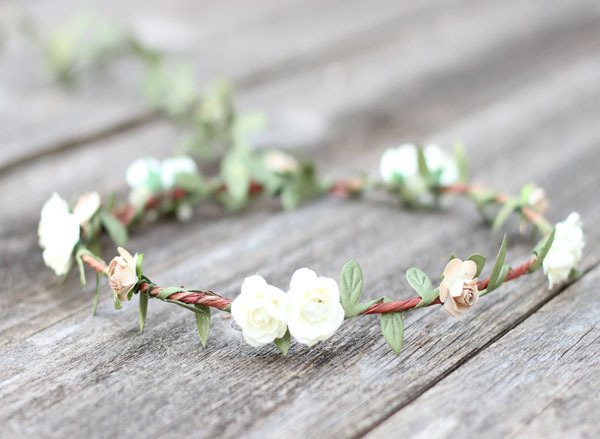 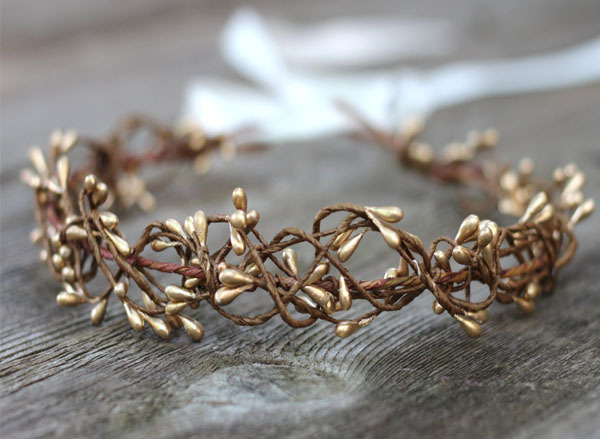 Flower Crowns are all made of a wire covered base that is mold-able to any head shape. 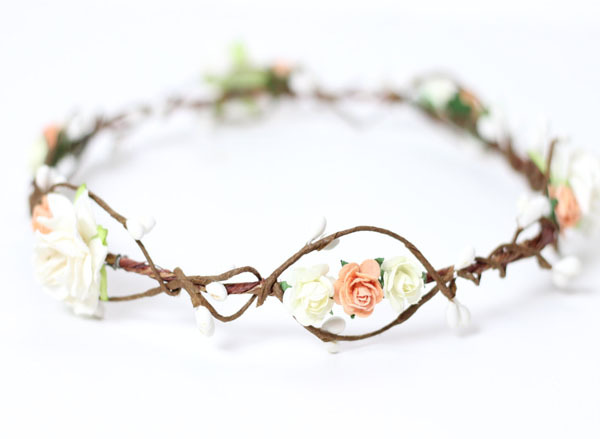 The ultimate Boho Ivory Flower Crown with Earth Tone & Ivory Roses adorned with Garland througho..
Planning a 2017 Wedding or attending as a bridesmaid, Flower Girl? 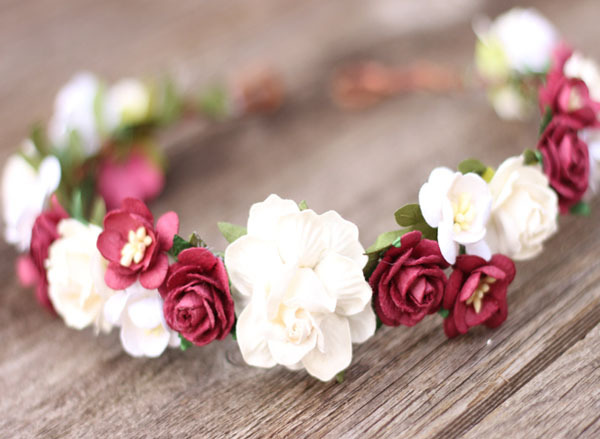 Well this Pale Peach, Ivory and B..
Rich hues Burgundy and Ivory Flowers flourish this wedding flower crown its Gorgeous! 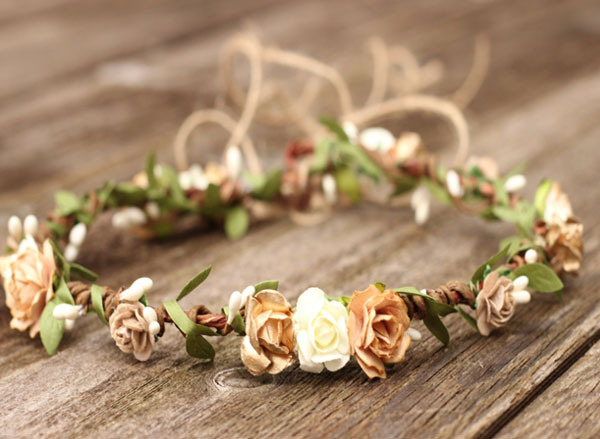 Perfect for Ru..
Lovely Bohemian Flower Crown features beautiful Gold, Beige and Ivory Roses is simply a stunning Lea..
Beautiful Off White Wedding Flower Hair Pins are simply beautiful to adorn your hair do For Wedding .. 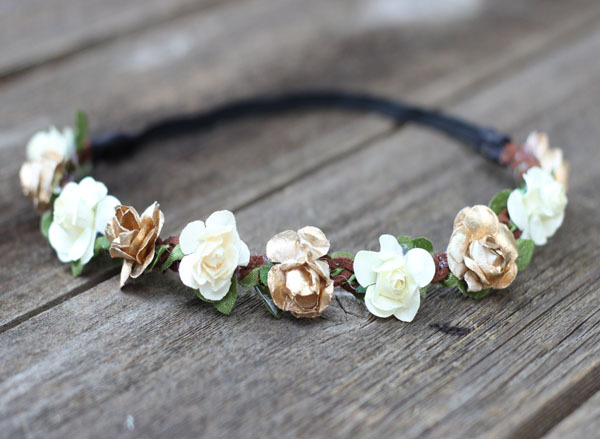 This Unique Handmade Gold Berry Flower Crown Hair Wreath features beautiful Gold & Ivory Roses w..
Adorn Your hair with this pretty Peach & Ivory flower crown is overflowing with lush roses and l.. 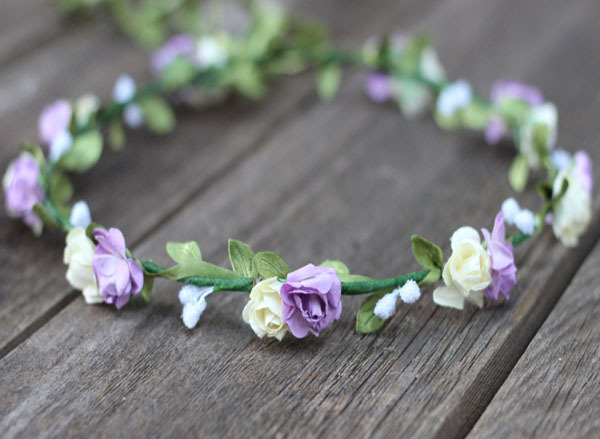 This Boho Head Wreath is a stunning Flower Crown with shades of White, Gold and plum purple Roses ad.. 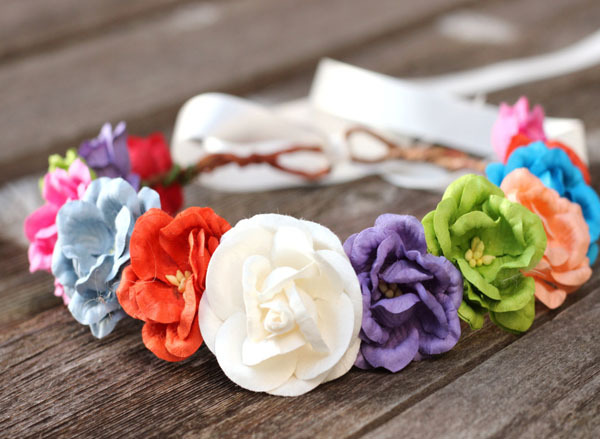 This Rainbow Flower Crown is stunning with Colorful Oversized Flowers make a Bold statement cascadin.. 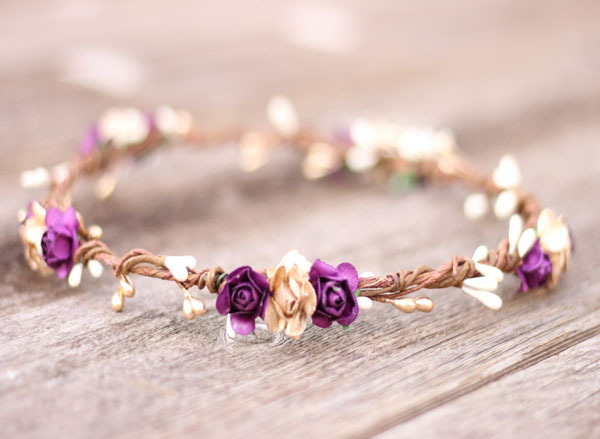 This Lovely Purple Flower Crown Hair Wreath features beautiful Gold and Plum Purple Rose with B..
Mint & Ivory flower crown Head Wreath is a stunning headpiece perfect for Spring Weddings. 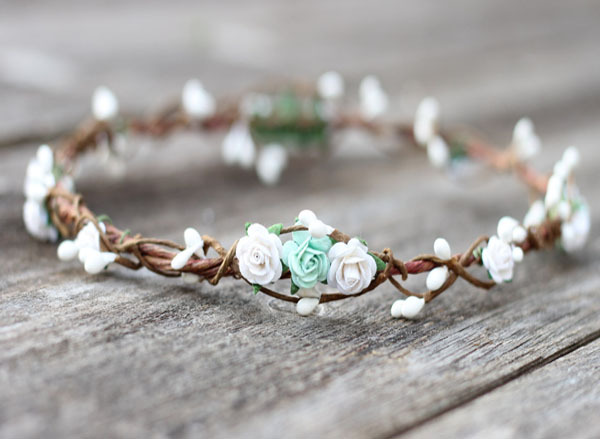 I've ..
Rustic Tone wedding flower crown enchanted on a rustic base along greenery and berries. 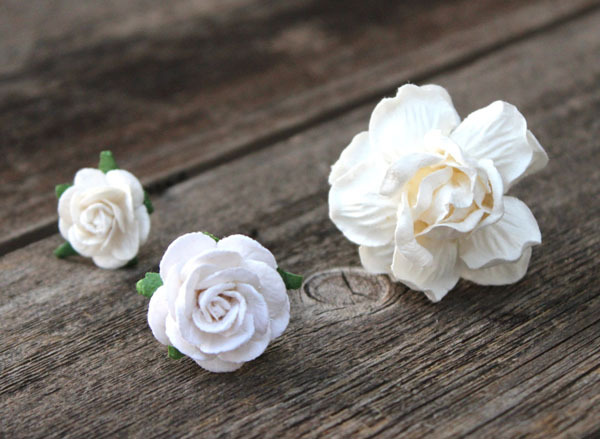 Gorgeous woo.. 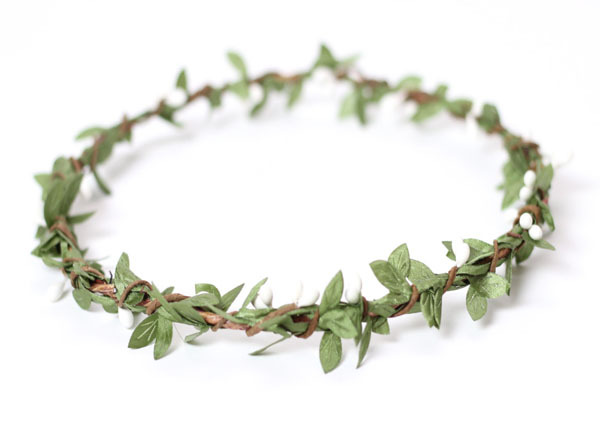 Simple Rustic Green Leaf Crown is a stunning headpiece perfect for that special occasion. 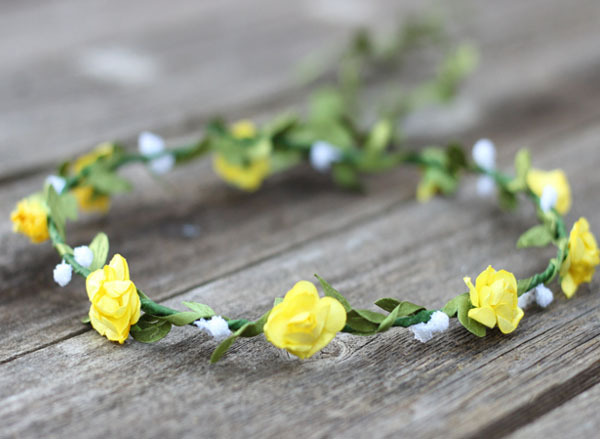 I've taken..
Beautiful Flower Crown cascaded along a olive green base with leafs and delicate small yellow f.. 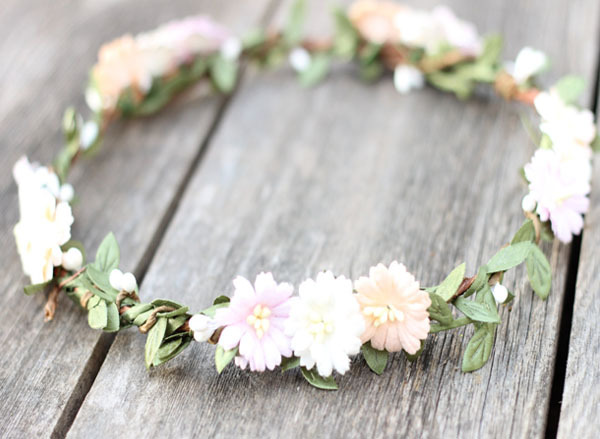 Wear Wedding Flower Crowns with comfort and ease. 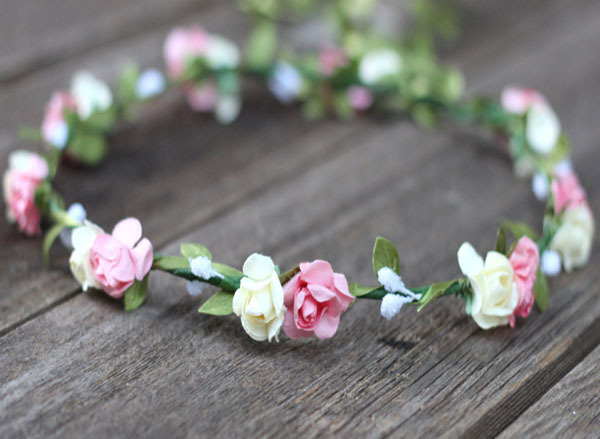 Each Flower Crown is Handmade, This Lovely Crowns ..
Lovely Pink and Ivory Flower Crown that will be sure to please. 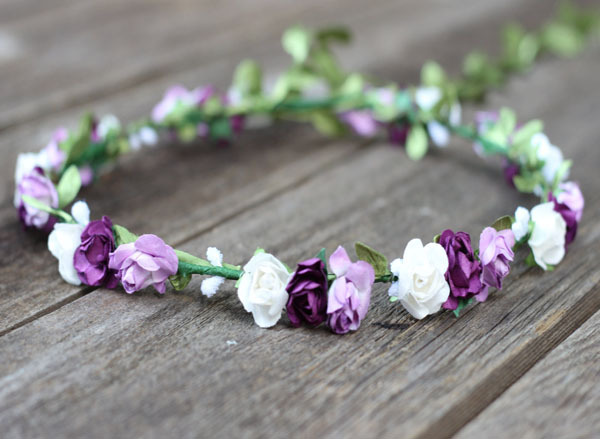 For Flower Girls, Wedding Headpiece ..
Lovely Plum Purple, Lilac and Ivory Flower Crown features rich purple hues perfect headpiece for so ..